Have you met Jenna? She’s the writer of the inspiring This Is My Happiness: Reflections on Travels and Day-to-Day Joys, college instructor, yogi and momma. Meet Jenna Francisco -May’s TGBTS Featured Teacher. I teach ESL (English as a Second Language) at Cosumnes River College in Sacramento, California. I teach all levels, from false-beginners to very advanced, and all skills (writing, reading, pronunciation, grammar, etc.). I love the variety of all the levels of our program, but I prefer teaching the most advanced students because we work with literature, research, and other academic subject matter. The student population is extremely diverse, from all over the world with different religions, languages, cultures, and ages. All the students have a story of some kind, from being imprisoned in re-education camps or barely surviving as one of the “boat people” from Vietnam, to being the victim of domestic violence or escaping religious persecution. I love working with them, and it all makes for a job that never gets boring. I started teaching rather spontaneously in 1996 in the Czech Republic, but I had no idea what I was doing and basically no support (very few books, no computer), so planning lessons was really hard. 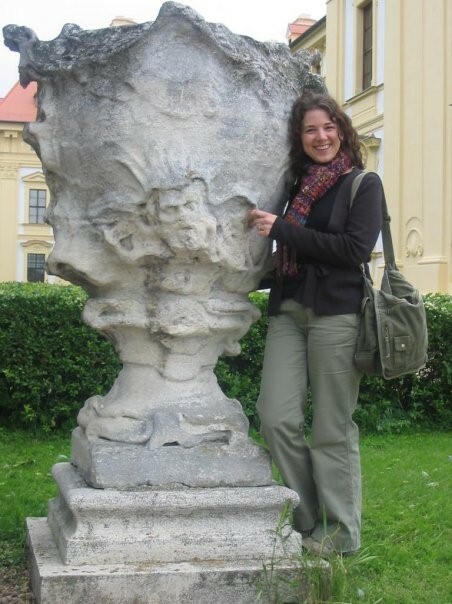 In 1997, I returned to the U.S. and went to graduate school to study linguistics. I was fortunate to get a full-time teaching position when I graduated in 2000. I’ve been at CRC since 2002 and have learned how to teach mostly through experience. What brought you to teaching? I got a B.A. 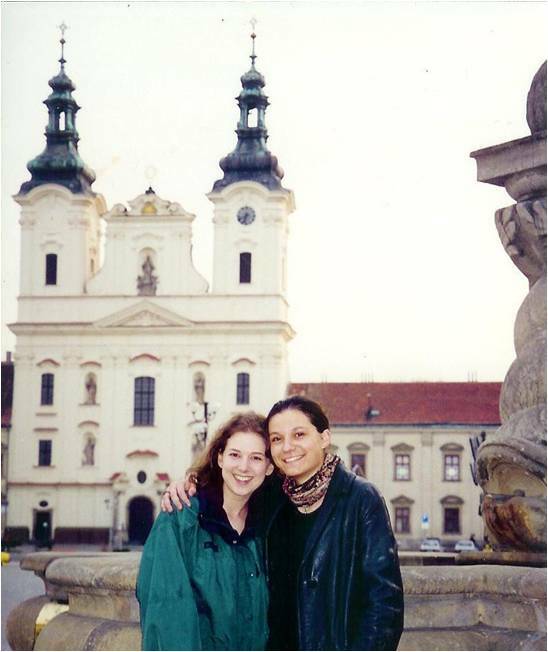 in art history and planned to go to grad school, but I had a year to kill, so I traveled in Europe for 3 months and visited my best friend from college, who was living in the Czech Republic with the Peace Corps. I was totally entranced by the idea of living abroad for an extended period of time, so I asked her if I could move in with her. I started teaching English there because that’s the easiest job for Americans living abroad to find. I had always loved languages, grammar, and writing, and I ended up realizing I could really love doing it if I could just get trained, which is why I went back to school in 1997. My blog, This Is My Happiness, is something I started for fun more than a year ago. I originally wanted to write about my travel experiences because traveling is one of my great loves in life, and after I had my first child, I felt a strong desire to travel more, I guess because I felt like life was getting shorter. My blog has evolved into a place where I have fun expressing myself and occasionally write about other life stuff, too. An unexpected benefit of it is connecting with others; I love reading and responding to people’s comments and now have on-line friends! If you’d like to learn more about Jenna and her travels check out her blog, This Is My Happiness, and be sure to stick around for part 2 – coming soon! For up to the minute news, you can also follow Jenna on Twitter and you can “like” her blog on Facebook. This entry was posted in Featured Teacher, Interview and tagged Featured Teacher, Interview, Jenna Francisco, teacher, This Is My Happiness, travel by Teacher Goes Back to School. Bookmark the permalink. So glad to learn about Jenna! I admire ESL teachers so much. I’m definitely adding her blog to my list of must-reads!